In this world wide Instructors’ database you did find teachers located in many countries across Europe and beyond. The information contained included basic information on where they are located, what they teach, along with links to their personal websites where you will find more detailed information. In the early days of tai chi in the west it was difficult to find good teachers and getting access to the right material was often a case of ‘try it and see’. With the advent of China’s Open Door Policy in 1979 we began to see increased communication between East and West and vice-versa, which resulted in access to good teachers and more genuine sources of information. Since these early days there has been a regular exchange with many European teachers regularly travelling to the original ‘sources’ of tai chi and qigong, along with regular tours by Chinese masters in most European countries. With the increase in education and exchange comes a corresponding increase in the range of styles and skills of these internal arts. Through this website we endeavor to provide you with sound, quality information to allow you to get the best from your training. To this end we include the links below. An overview of what tai chi is, its terminology and various aspects and links to articles covering the basics, the health aspects, history & philosophy, various styles and interviews with key practitioners. Links to articles useful to tai chi beginners: 10 Tai Chi Tips, 10 Common Errors, 5 Most Important Skills etc. An overview of the various authentic styles of tai chi and details of how the modern adaptations are taught and practised. Also includes links to each of the respective traditional styles. 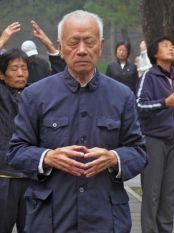 A detailed overview of the history and origins of the myriad of qigong systems taught and practiced.